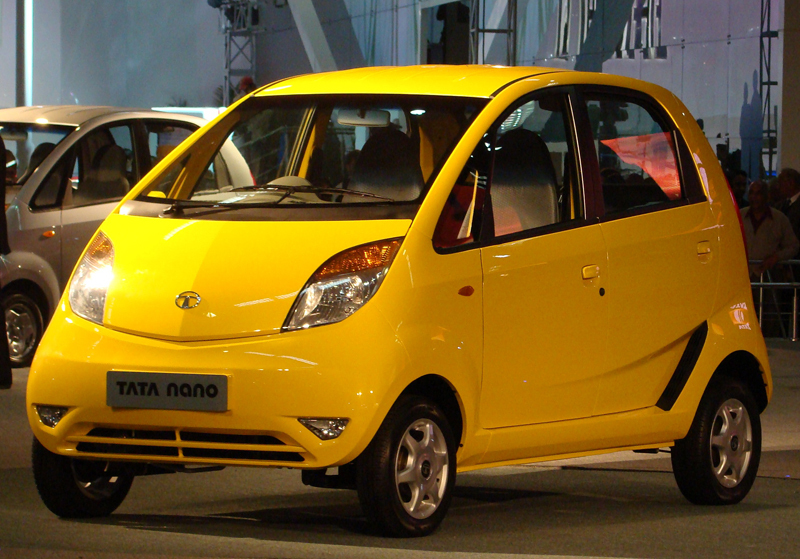 The Nano has already become a very familiar car on the Indian roads. It is a cute looking car that has not only been priced low, but also has a lower cost of maintenance. It also scores high in terms of fuel efficiency. This has made it become the most favorite budget car in India since its launch around two years back. It has been provided with the MPFI engine that is capable of offering a decent level of performance. The 624cc engine has been blessed with the capacity of generating a maximum power of 37Hp, which is quite impressive for a small car. Mileage factor is also not something to worry about as the car offers much higher figures than most competitive vehicles. The car has been given a compact design and is accompanied with comfortable interiors along with the benefit of a great pricing. All these factors seem to indicate that the Nano has been born to dominate the Indian auto market. The Bajaj RE60, which has been the most recent entry into the Indian auto market, has been designed more in lines of being a vehicle for general transportation. However, it is still going to provide competition to the Nano. The fuel efficiency factor of the RE60 is excellent (it has offered 40kmpl under test conditions and a creditable 35kmpl on highways). Another factor that works in its favor is its low emission level, which is at 60g in one kilometer. 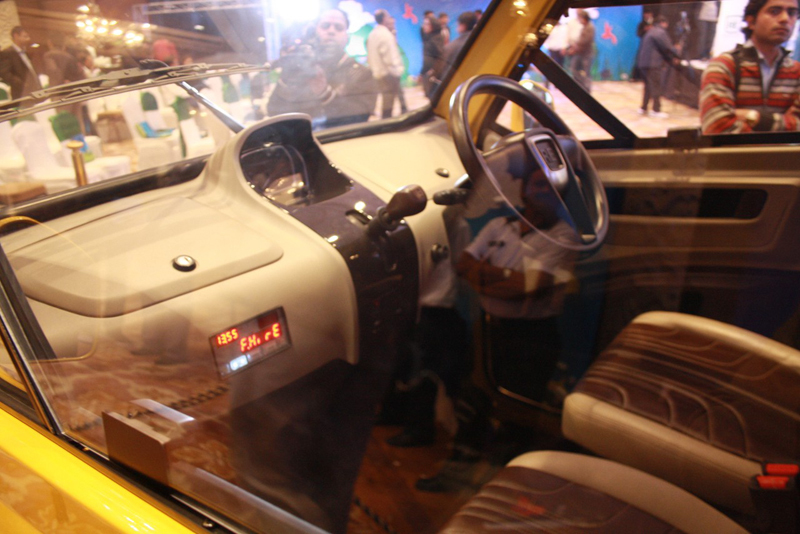 The overall styling can be rated as above average and the brand name of Bajaj can work in its favor. The DTSi technology that it has been provided with will hold the RE60 in good stead. Overall, it can be rated to be a decent entry into the budget car segment and could provide good competition to the Nano. We have based our comparison of these two cars based on certain attributes, which have been discussed below. 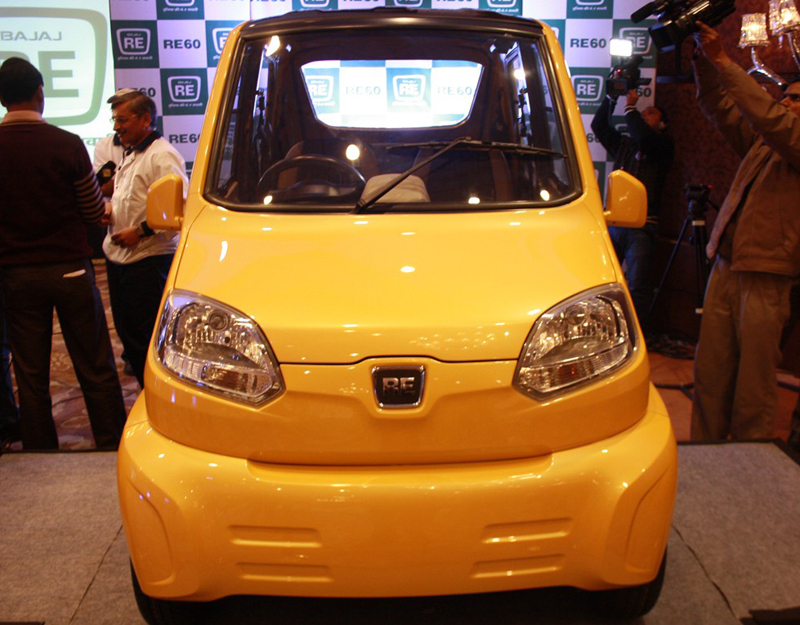 Engine: The Bajaj RE60 has been provided with a DTSi 4 water cooled engine whereas the Tata Nano comes with a 2 cylinder, MPFI, 624cc engine. The Nano triumphs over the RE60 as far as the engine is concerned as it is able to offer a decent level of performance. Power: The Tata Nano offers much superior peak power of 37Bhp as compared to the 20Bhp that the RE60 offers. Torque: The Nano has been able to record a peak torque of 51Nm@4000-4500rpm. Though the official figure of the RE60 is still being awaited, it is not expected to match up to the Nano on this aspect as well. Peak Speed: The Nano has been provided with a peak of 105kmph, which easily overtakes the 70kmph maximum speed that the RE60 has. 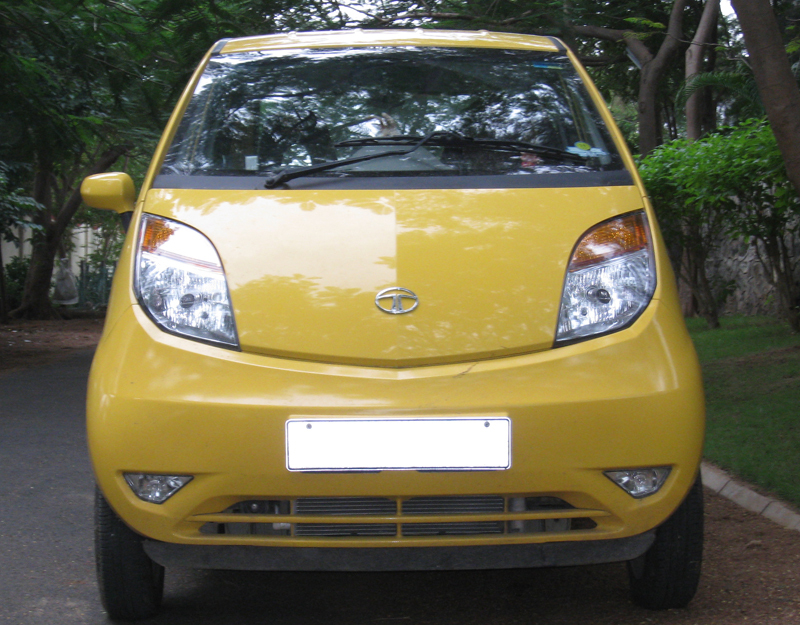 Brakes: The Tata Nano has gone for drum brakes of 180mm for both its front and rear wheels. In comparison, the RE60 has offered disc brakes at its front and drum brakes at its rear wheels. For the variety provided to its brakes, the RE60 edges past the Nano on this aspect. 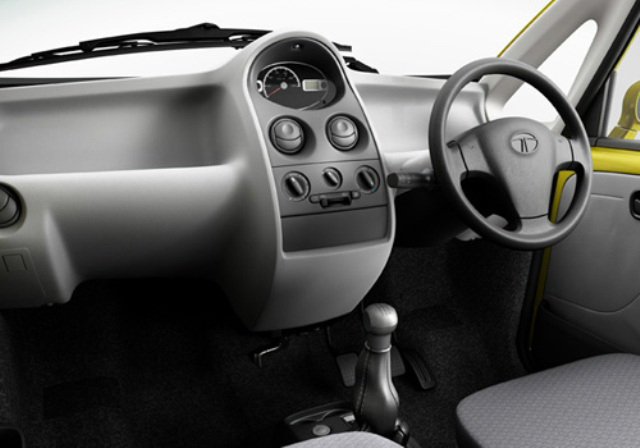 Car Dimensions: The Tata Nano is the bigger car having length 3.1m, width 1.5m and height 1.6m. The RE60 is comparatively smaller having length 2.7m, width 1.6m and height 1.3m. This provides another advantage to the Tata Nano. Seating Capacity: Both the cars can accommodate 4 passengers; hence this is a criterion that can be best decided by the users as to who should be declared the winner in this category. Price: It does not look like that the two cars are going to have a huge difference as far as pricing is concerned. This comparison, however, cannot be made correctly till RE60 does not officially declare its price. Safety Features: It has been rumored that Bajaj is going to provide the RE60with some advanced features of safety though the same has not yet been clarified in details. 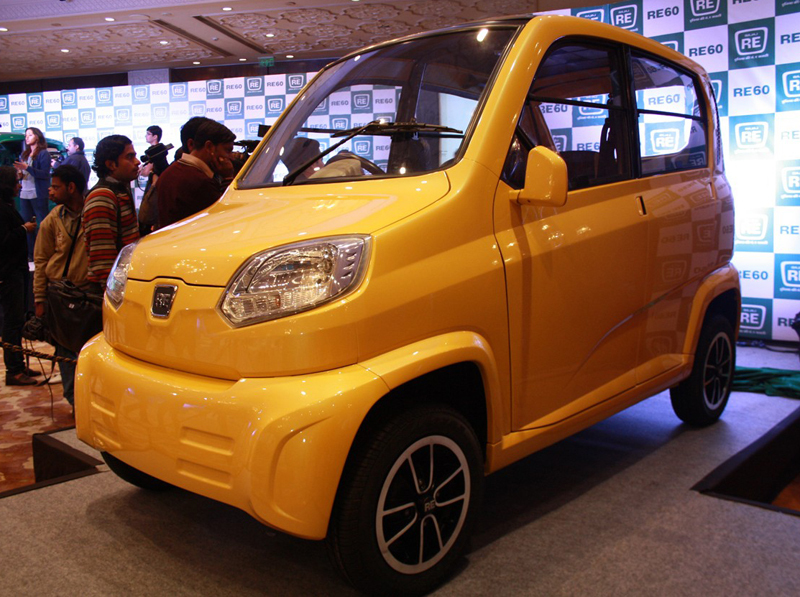 However, the Bajaj car is expected to have an advantage over the Tata Nano on this aspect simply because of the fact that the Nano does not seem to be a secure enough car. Emission Norms/ Environment Friendly Nature: As has been mentioned above, the RE60 has been provided with highly improved fuel efficiency along with extremely low levels of CO2 emission. This has made the RE60 score over the Nano on this aspect. Once we have taken all the above mentioned parameters into consideration, one does not need to be a genius to predict the winner. The Nano is the victorious car in this comparison, but one needs to wait and see how the production model of the Bajaj RE60 performs once it is launched on Indian roads.